Want to be notified of new releases in daleharvey/jshint-mode? 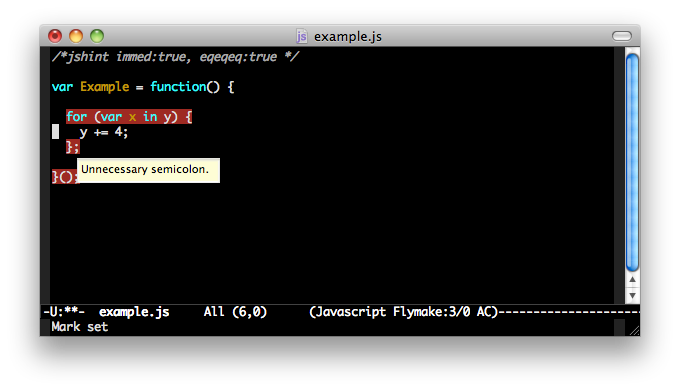 Integrate JSHint into Emacs via a node.js server. jshint-mode was heavily inspired by Kevin Turners lintnode. By default, jshint-mode will search for the nearest .jshintrc file up the directory tree from the location of each JS file you edit. Alternatively, you can customize the jshint-mode-jshintrc variable to set the location of a .jshintrc file that will always be used (and will be the only one used).